One of the most popular presentations at our annual meetings is on grain marketing. 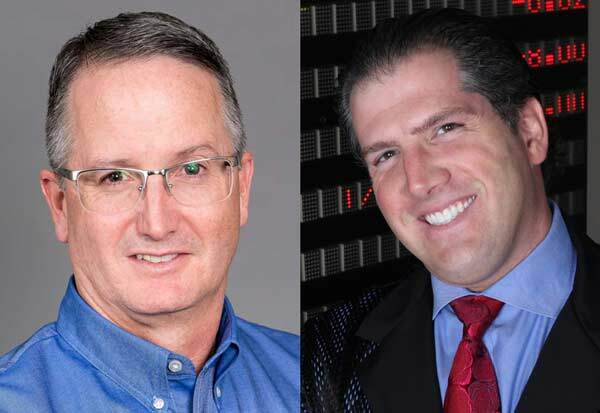 This year, two top-notch specialists will share their insight as we hear from Ed Duggan of Top Third Ag Marketing and Tommy Grisafi of Advance Trading. Duggan said many farmers will be tempted to pay elevators to store their grain until commodity prices rebound but he doesn’t think that’s a good idea. When Duggan comes to Sioux Falls to share his expertise, he’ll bring along more than 30 years of experience. He joined Top Third Ag Marketing in 2007 as director of operations after spending more 21 years on the grain floor at the Chicago Board of Trade. He was grain floor manager for LFG, LLC from 1992-2000 and floor manager at Iowa Grain Company from 2000-2007, where he was introduced to Mark Gold and his risk management program. Duggan went to work for Top Third, and after eight years he transitioned into his current role as senior risk management specialist. Many farmers will recognize Grisafi from his guest appearances on U.S. Farm Report and Ag Day television programs. One of the many topics he expects to address is how to be better prepared to deal with price swings. Grisafi, a commodity risk management adviser at Advance Trading in Valparaiso, Ind., developed interest in managing risk in 1990 when he attended a class field trip to the Chicago Board of Trade during high school. He became a recognized member of the the Chicago Board of Trade and CME group on his 21st birthday and has maintained this status for 24 years. In addition to his position as an ag risk management consultant and an independent trader, he also operates “Ag Squawk,” a weekly round-table discussion among ag industry leaders and enjoys public speaking at farm meetings and events.